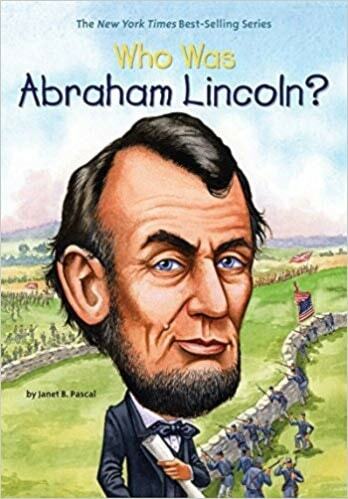 Who Was Abraham Lincoln? The ew YOrk Times Best Selling Series. By Janet Pascal. Born to a family of farmers, Lincoln stood out from an early age—literally! (He was six feet four inches tall.) As sixteenth President of the United States, he guided the nation through the Civil War and saw the abolition of slavery. But Lincoln was tragically shot one night at Ford’s Theater—the first President to be assassinated. Over 100 black-and-white illustrations and maps are included. Paperback 2008.